Ivan, died of natural causes in Minneapolis, October 24th at the age of 95 years. Born in Ukraine, he came to the USA in 1950. Preceded in death by wife, Olena in 1995. Survived by children, Arkady and Natalie; grandchildren, Alex, Andy, Athena, Lisa and John; great-grandchildren, Blake and Ty. Funeral service at ST. MICHAEL’S AND ST. GEORGE’S UKRAINIAN ORTHODOX CHURCH (505 NE 4th Street) Tuesday from 6 to 8 PM with Panachyda at 7 PM. Funeral service at the CHURCH Wednesday at 10 AM. Interment Hillside Cemetery. 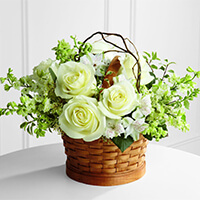 To send flowers to the family of Ivan Synhaivsky, please visit our Heartfelt Sympathies Store. Our deepest condolences for the loss of your father. He was a good man and a shining example for us all. My wife Becky and I so much enjoyed having Ivan as our neighbor for many years. He always was so kind and friendly and had a smile for us and a happy wave. We will miss him.